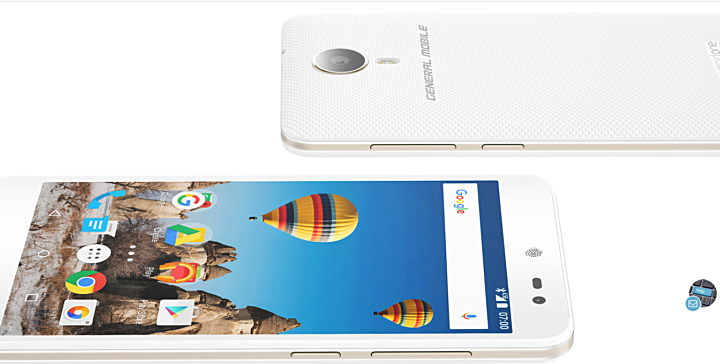 Turkish manufacturer General Mobile, which is involved in Google’s Android One efforts, has announced a new Android One smartphone. Dubbed GM 5, the device runs the latest Android 7.0 OS, making it the first Nougat-powered Android One handset. Specs-wise, the device packs in a Qualcomm Snapdragon SoC with quad-core CPU (said to be SD410) and sports a 5-inch HD display. RAM is 2GB, while internal memory is 16GB. In terms of camera, the phone features a 13MP rear unit and a 5MP front shooter. A 2,500mAh battery is there to keep the lights on. Measuring 140.5 x 69.75 x 9.3mm and weighing in at 160g, the GM 5 comes in Golden, Space Gray, and Black color options. While the smartphone will go on sale this month, it will only be available in the following 20 markets: Azerbaijan, Albania, Afghanistan, Belgium, Bosnia, Croatia, Cyprus, Georgia, Ghana, Greece, Iraq, Kenya, Luxembourg, Moldova, Netherlands, Pakistan, Serbia, Tunisia, Turkey, and Uzbekistan. There’s currently no information on the price tag the GM 5 carries.